Verdict: the biggest spectacle of the year is also its smartest and best. When a routine trade of stolen plutonium goes horribly wrong, Ethan Hunt (Tom Cruise) is forced to choose between saving the mission or saving his team. Choosing the latter is what kicks the plot into gear, as it compels CIA director Erica Sloan (Angela Bassett) to intervene in the IMF’s operation: She attaches her operative August Walker to Ethan’s team of Benji (Simon Pegg) and Luther (Ving Rhames). As they chase the extremists who got their hands on the plutonium across continents, the team face old enemies (Solomon Lane, played by Sean Harris), new threats (the White Widow, Vanessa Kirby), and the enigmatic Ilsa Faust (Rebecca Ferguson). And at every turn, Ethan is pushed to find a better way out of an impossible situation, straining his body under the weight of his immoveable morality. So far, so very Mission: in the grand tradition of spy movies, reveals and reversals are as much a part of the audience attraction as the set-pieces they set off. What makes Fallout exceptional isn’t just the way that these twists careen into bruising fisticuffs or eyeball-meltingly intense pursuits; it’s not the way director-screenwriter Chris McQuarrie is able to weave in the details through dialogue or visual cues that all stack up the tension to unbearable heights; it’s not even the way that McQuarrie, working with editor Eddie Hamilton and cinematographer Rob Hardy are able to match Tom Cruise’s dedication to practicality to the degree that you’ll probably spend every other second of any breathless sequence wondering how no-one died. What makes it exceptional is that every set-piece finds a way to test each character in ways that show us who they are. One beat of Rebecca Ferguson kicking a crate in a climactic fight scene almost made me cheer because of how it proved Ilsa had changed; Tom Cruise and Henry Cavill’s showstopping tag-team bathroom brawl against a terrorist (played by Liang Yang) begins by better establishing just what distinguishes Hunt’s surgical tactics from Agent Walker’s preference for a bullet. As the reveals stack up further, none of these beats are betrayed, but reinforced. None of which is to say that you’re encouraged to notice these details within what is without question the greatest spectacle of the year. The film is bookended by the two sequences most touted in the marketing: a one-take HALO jump into Paris where Ethan chases after the reckless August Walker, and a helicopter chase which begins with Ethan climbing aboard the second copter in mid-air, and which showcases the most vertiginous IMAX photography ever committed to film. These are reason enough to seek Fallout in the biggest screen possible. For any other franchise, either one would have been more than enough effort, yet a Paris motorcycle chase sees Hunt catapulted off his bike, land, and run away in a single take; that bathroom brawl (captured without a score so that every blow thuds harder) destroys enough tile and mirror to build five new ones; even the shot that broke the ankle of the youngest 56-year-old man in the world isn’t the most jaw-dropping part of a deliriously fun foot chase across London. There’s so much to talk about with Fallout that I’ll inevitably run out of words: I haven’t even arrived at how Ving Rhames gets a true showcase of his acting ability in a heart-breaking scene at the end of act two; how Simon Pegg continues to impress with his timing of the smallest of jokes and his knack for charisma and physicality that he’s been owning since 2004; how Henry Cavill gets a role that subverts all the qualities that he was chosen for as Superman, and one that should finally earn him the plaudits he deserves; how there are not one, not two, but four captivating women in the film, none of whom become damsels, and all of whom have distinctive motivations and conflicting dimensions. If you felt let down that Rebecca Ferguson’s show-stealing Ilsa Faust was the lone female character in Rogue Nation, not only has she returned with a vengeance to one of the decade’s most compelling characters, she must now contend with Vanessa Kirby’s star-making performance as the enigmatic White Widow – in no more than four scenes, she achieves the sort of forceful chemistry with Tom Cruise that he hasn’t had since possibly Jerry Maguire. And it is Tom Cruise’s show after all. Rogue Nation was as much a meta-narrative surrounding his dedication to the audience through the most impractical of practical effects as it was a spy thriller. In fact, that film climaxes with him confronting the villain and the audience, staring both straight in the face, and saying “You cannot kill me, I am what keeps this movie going.” Combine that with Jeremy Renner’s increased exasperation, and Alec Baldwin’s majestic delivery of the “Hunt is the living manifestation of destiny” speech, and you’d be forgiven for thinking that no amount of heroics or dedication could make either Ethan Hunt or Tom Cruise not a crazy person. Fallout is about reversing that instinct and finding a compelling emotional and moral argument for why the world needs Ethan Hunt, and the movies need Tom Cruise. There have been a lot of blockbusters recently that have addressed disillusionment, failure, and the difficulty of being optimistic in the face of such disappointments (Wonder Woman, The Last Jedi, Dunkirk, and Infinity War are all about this). Mission: Impossible – Fallout rhymes with this recent trend, because Fallout in many ways is about fighting a fear of failure, and about not settling for an easier solution if it means compromising your values. Outside of Ethan’s trusted team of Benji and Luther, everyone tests his values at some point. The whole film poses this question: why bother maintaining your high standards of difficulty for something as trivial (in an action movie) as a random human life? Quite simply, the answer is because one unnecessary sacrifice, when the same goal can be accomplished if you climb aboard a helicopter mid-flight, will always strip away what’s left of your own humanity. It will make you less able to envision a bright future when the entire world is going to hell around you. Ethan Hunt is a guy who doesn’t recognise a distinction between the personal and the political; like all humans he is naturally hardwired to care more intensely about the people in his immediate vicinity than abstract millions who might be affected by his choices. But neither are those millions truly abstract, because every single life holds the same inherent value to him. There is no adjusting for quantity or quality of life when it comes to the morality of taking one; all that justifies taking one for Ethan is if it is all that can save the life of somebody else, somebody weaker. When blockbusters threaten world destruction via nuclear Armageddon, alien invasion, or natural disasters, there’s always a choice made by the screenwriter in their construction: are the heroes saving each other, or saving the world? But in Fallout, the climax makes it clear that for these characters, on both a logistical and moral level, they are saving both. Times are hard, and the world is indeed going to hell. But we can’t get nihilistic, and we can’t cut corners. It is vital that we have ideals to strive for, no matter how impractical they seem. As human beings, we need to see real people achieve the impractical, the impossible, to remind us that it’s worth doing. Ethan Hunt is not a superhero, but not even Superman flies as high as Tom Cruise does, when he’s diving out of a plane at 25,000 feet. 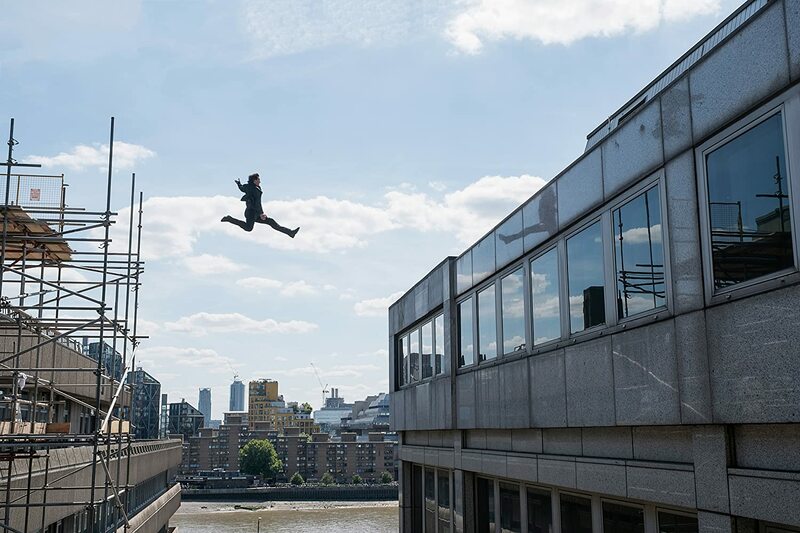 Doing his stunts for real isn’t just what makes this film so exhilarating and visceral – because the motorbike chase in Paris could so easily not be if McQuarrie’s camera wasn’t following Cruise into that oncoming traffic, and editing the sequence with a miraculous deftness –, it’s what gives Ethan Hunt, for arguably the first time in the series, a genuinely compelling depth. 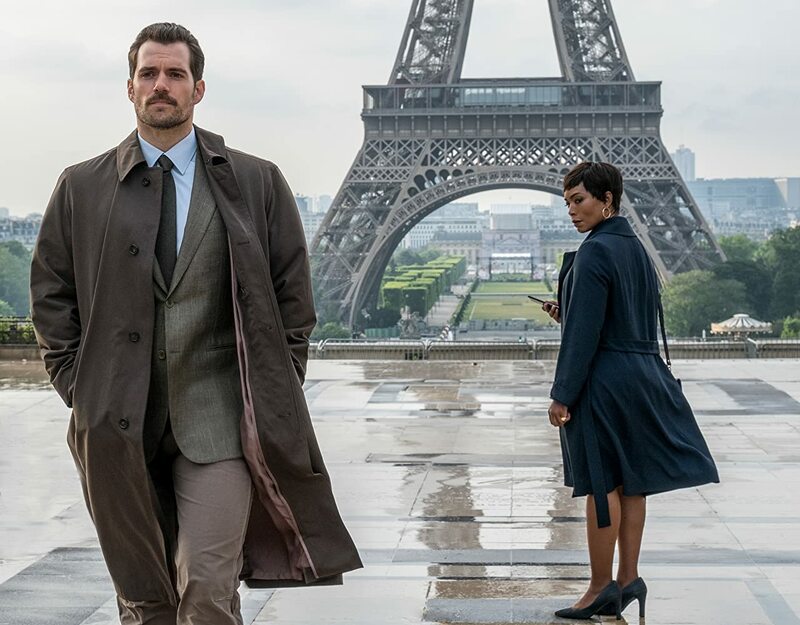 It’s also what makes Mission: Impossible – Fallout without question the most fun I’ve had at the cinema all year, and my favourite film of 2018 so far. Do not miss it. Mission: Impossible - Fallout is out now, distributed by Paramount.